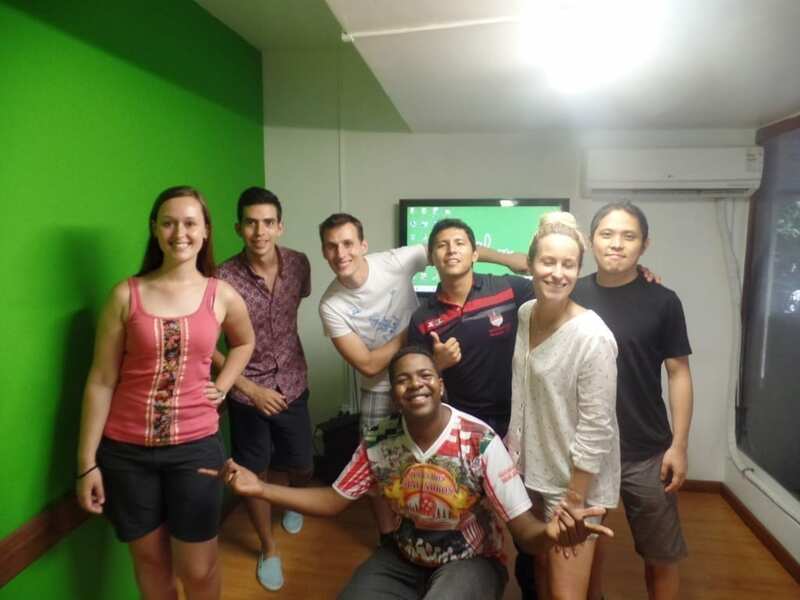 Gringos no Samba - Learn Portuguese in Rio - RioLIVE! 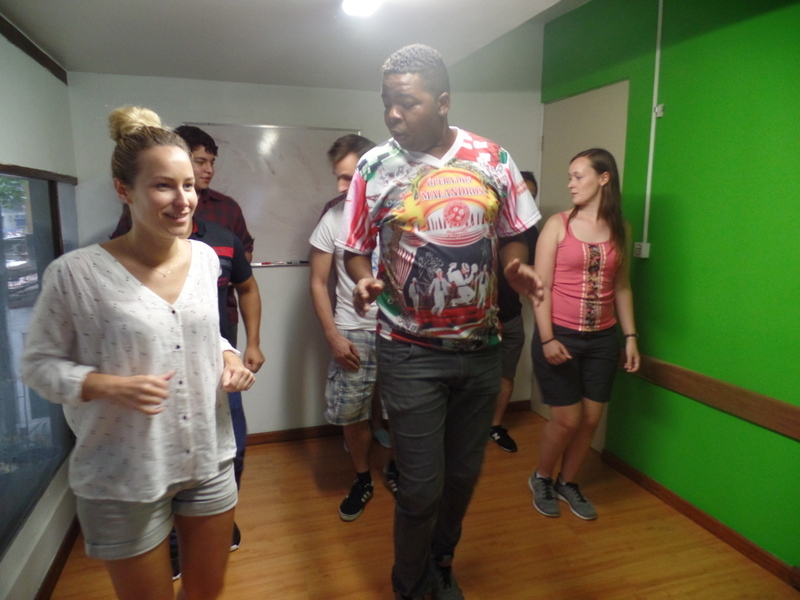 You can´t come to Rio without learning a few samba steps, so yesterday we finally got to grips with basic samba thanks to our teacher Castro. It started off quite simply (1,2,3,…1,2,3), but before long we were spinning and working on our hip action in more complex figures to the music. By the end, we were even flicking our hair and tipping imaginary hats as part of the choreography. 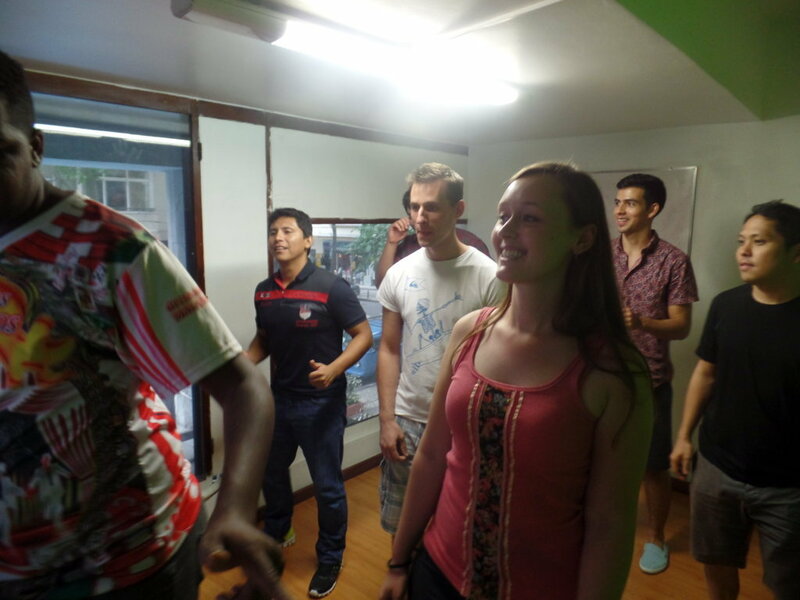 It was a lot of fun for the participants and very different from what we´re used to dancing back home! Now time to conquer the streets of Rio with our newfound samba prowess! Beleza! Our Students showing their samba skills. Gringos no Samba, that was the name of our RioLIVE! at this time. 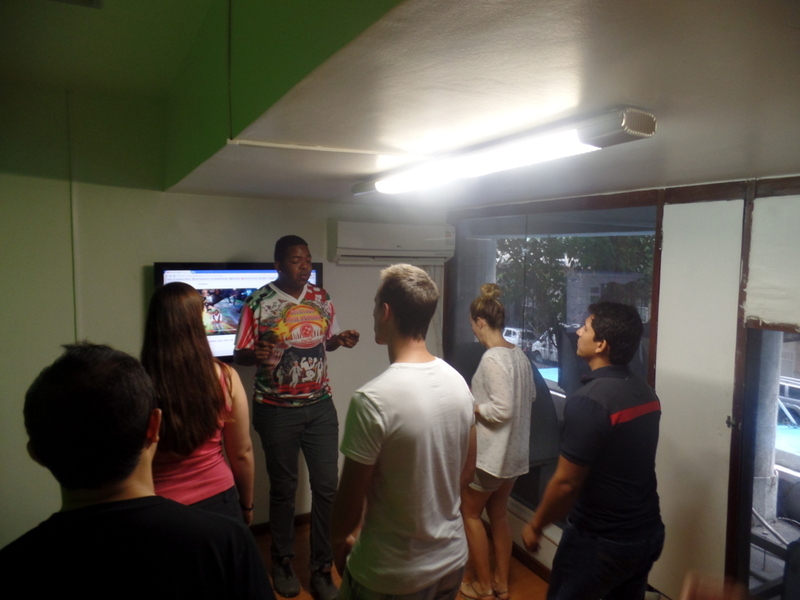 Rio de Janeiro is the birth place of samba, everybody nows that, but what about having a samba class to know and to follow some stpes of this Brazilian rhythm? That was what our Portuguese students from France, Venezuela, Peru, Mexico, Philippines and Australia did, they had a very nice and lively samba class. 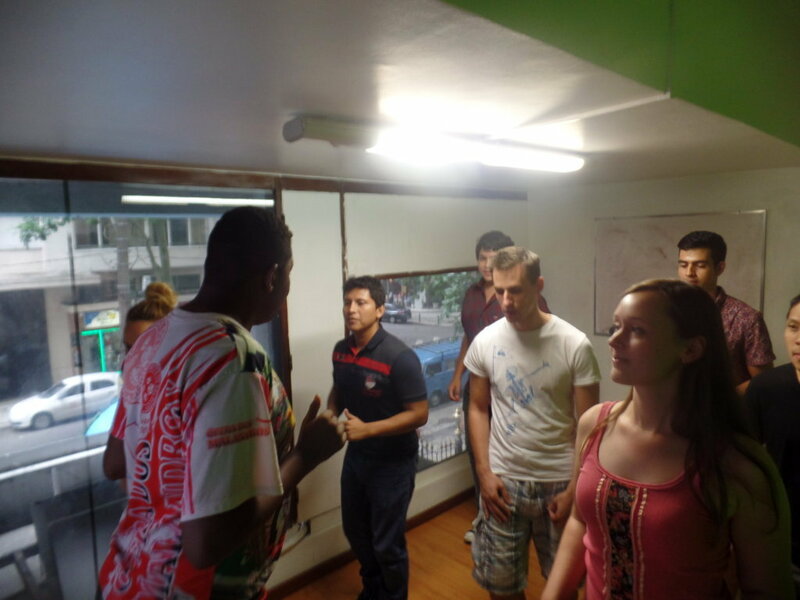 We gathered at Rio & Learn Portuguese School and with the help of our great samba instructor, Castro, they could get to know it a little bit better. 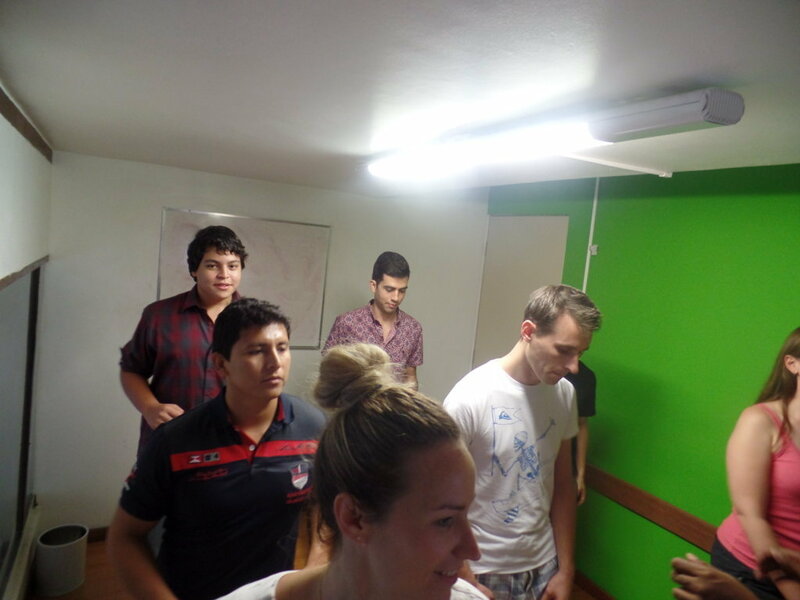 Our students were very curious about its history, because samba was born at favelas (slums) and poor communities of Rio, they started step by step, with very simple and slow moviments, but with time passing, they could get faster and dance like real carioca samba dancers, it was really funny because besides learning samba, they were practicing their Portuguese a lot and having fun at the same time, that’s the main goal of our RioLIVE! 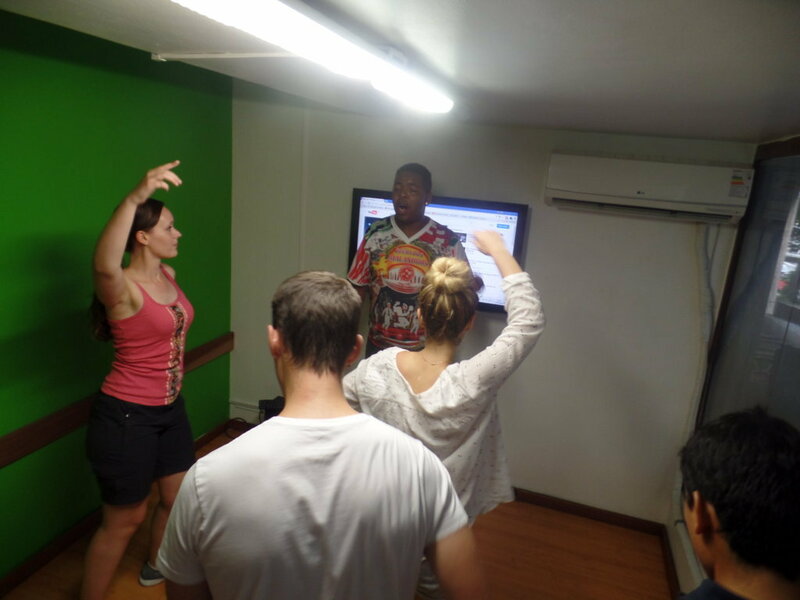 We are sure that our gringos no samba loved this experience and they are also ready to dance it in our activity next Saturday, a trip to a samba school in Rio de Janeiro. Come you too and take part in our RioLIVE! Activities.